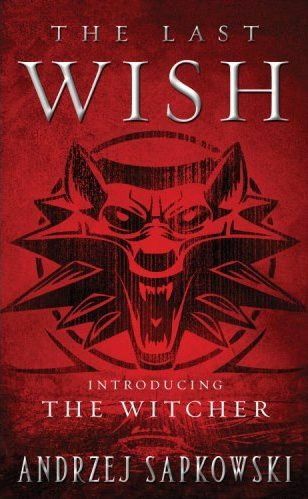 THE LAST WISH is the first book in Polish author Andrzej Sapkowski's WITCHER series, and centers on the monster-hunting exploits, romances and political imbroglios of one Geralt of Rivia, the titular "witcher" of the series. Originally published in 1993, THE LAST WISH was long denied us Anglophones. But thanks to the good people at Gollancz/Orbit, we finally have access to these books in translation. If this all sounds a bit familiar to you, it's probably because you've played or heard of the video games these books inspired. THE LAST WISH is a must-read for fans of the games, as well as anyone who likes character-driven sword & sorcery. As it happens, after only reading one installment in the series, I'm ready to pronounce Geralt as one of the great fantasy characters of all-time. He's a cynic with a moral compass, a killer with standards and has a way with the ladies, who are themselves similarly complex and interesting characters. THE LAST WISH is also an overtly political book, set in a place and time where humans have nearly driven out the elves and dwarves, who face the stark choice of assimilate into human society as second-class citizens or try to fight back despite dwindling numbers and few resources. This is portrayed as tragedy, and is dealt with in an appropriately sophisticated and nuanced way. Then there's the prose. Even in translation, it pops off the page--Sapkowski is particularly good with dialogue and voice. There's a playfulness in evidence as well, which reminds me of Fritz Leiber, though a bit less flowery. All in all, the book is highly recommended to any fan of sword & sorcery. Nerd Coefficient: 9/10. "Very high quality/standout in its category."